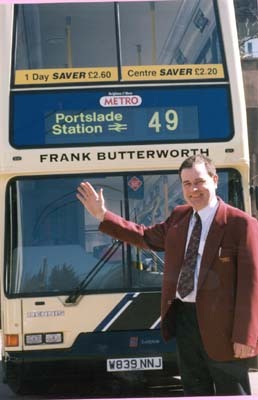 Connections with Brighton and Hove : At Brighton & Hove buses Awards Evening in 2001 there were two chances to bid on having your name on a bus, one was won by a Lewes Road driver, the event raised £1,700 for charity. The name was displayed for a month in April 2001. 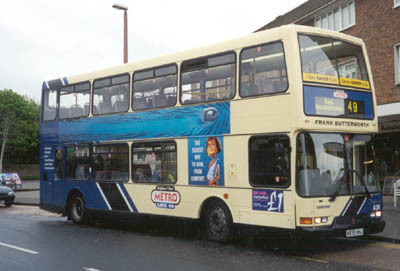 839 Dennis Trident carried name during April 2001 only, on METRO Line 49. 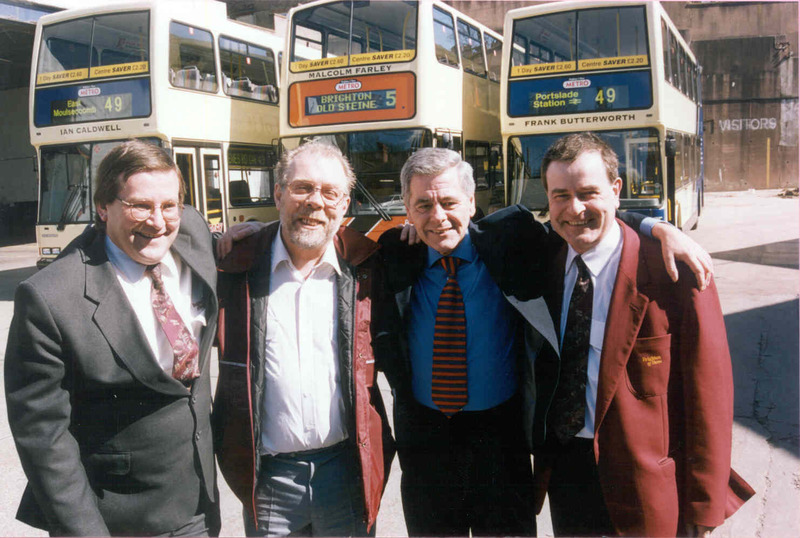 Frank (right) with the other charity name bidders.